- Special Side hooks to hang dresses, skirts, etc. 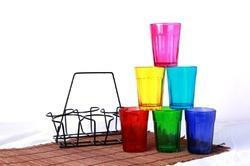 We are among the eminent suppliers and exporters of excellent quality Meenakari Glass Set. he material used in the manufacturing process is sourced from vendors of high repute. To meet the variegated requirements of customers, we offer these sets in various designs and sizes at pocket friendly prices. 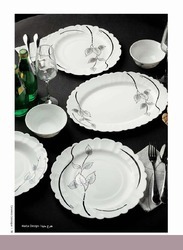 The Dinner Set is Customisable. - Widely demanded in houses, hotels, etc. We are the leading organization in the industry to provide our clients the best quality array of Grass Design Dinner Set.